How do you ensure that your online visitors actually become customers and clients? That’s what conversion rate optimization (CRO) is all about. It’s a specialty that includes complex techniques and psychological concepts. But many companies haven’t even picked the low hanging fruit! That’s why you’ll read here about some simple steps that will help you increase conversions on your website in the upcoming quarter. Conversion optimization is closely connected to your website’s user experience (UX) and the added value of your content (SEO). If you have those two areas under control, you’ll already notice more visitors arriving from Google. High time to convert them into customers or leads. A surprising number of companies forgets to add a clear call-to-action on the pages of their website. What do you want your visitors to do? You can add a call-to-action to your text as a link, but creating a visually attractive button is another way to incorporate your message. That way, any visitor just scanning your website will see clearly at a glance what they should do. Keep your visitors in mind when deciding which wording to use for your clickable button. What is the benefit you are offering them? How much will I save using ****** to do ******? 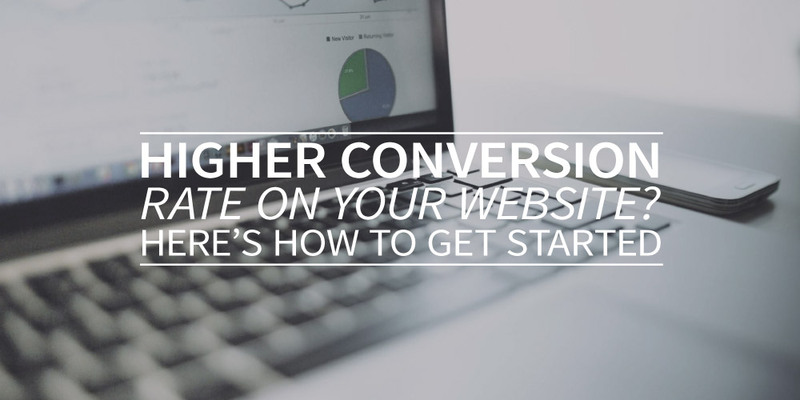 Conversions can really depend on where you place your actionable button and what it looks like. A distinctive color is definitely a must and consider including additional calls-to-action along the way in any longer articles (1000+ words). Not every visitor wants to buy something right at this very moment. But it would be a shame just to let them click away. For those visitors, it’s a great idea to build in an alternative call-to-action when they decide not to click on that purchase button. Perhaps a discount code when they leave the website. KFC is “Finger Lickin’ Good.” But why would anyone just take their word for it? For most brands, customer recommendations are key. Showcasing reviews or testimonials on your website is a definite recommendation. It’s important that reviews are verifiable (full name, plus preferably a photo and contact information) and that they clearly convey how your product or service was helpful to them. You can try these same tactics (within reason) on your own website. Do keep in mind not to make far-fetched claims. Finally, it’s always worth making things as easy as possible for your visitors. Is it strictly necessary to create an account in order to process an order? Does that form need to be quite so long? Conversion rate optimization is a specialty that you can expand on indefinitely, but it’s unlikely that you have that much time to invest in it. That’s why it’s smart to focus on your website’s most important pages. Use Google Analytics to identify your key landing pages. Which pages have high traffic, but low conversion rates? At what point are you losing your visitors? How does your call-to-action tie into your keywords? Next, experiment with the above tips to generate a higher click-through rate (CTR). With conversion optimization (CRO) you ensure that more visitors become customers or take the action you want them to take. The basis for CRO lies in a user-friendly website with convincing and well-written content. Tip: At webtexttool, you can use the Text Conversion Optimizer. This tool automatically measures the readability and credibility of your text. A clear, enticing, and eye-catching call-to-action will help you convert visitors into clients or leads. Three great tactics to employ are scarcity, ease, and social proof. To get started, focus your conversion optimization on pages with a high visitor count, but a low number of leads.